The Glass Transition Temperature (Tg) is one of the most important properties of any epoxy and is the temperature region where the polymer transitions from a hard, glassy material to a soft, rubbery material. Circuit board material must flame-resistant, it can’t be burned at a certain temperature and only be soften. The temperature point is called the glass transition temperature (Tg). The higher Tg point means higher temperature requirement during lamination. And the boards will be hard and crisp, which will affect hole and the electrical properties. Ordinary PCB materials at high temperatures, not only will be soften, deformation, melting and other phenomena, but also the mechanical and electrical properties decline sharply. 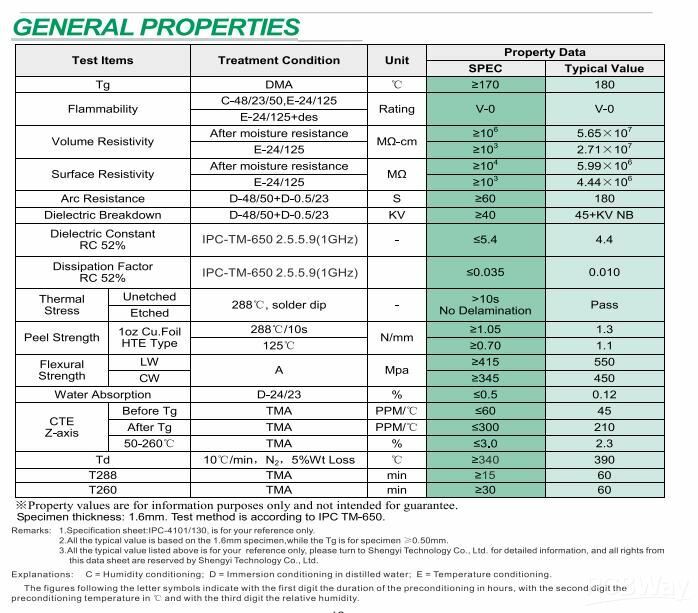 General fr4 Tg is 130-140 centigrade, moderate Tg is greater than 150-160 centigrade, High-Tg is greater than 170 degrees. 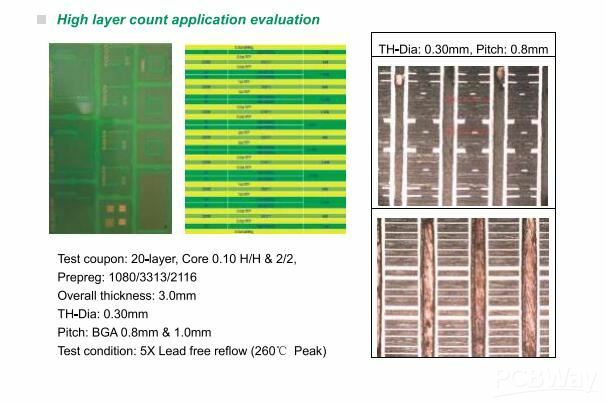 The higher of Tg, the better performance of PCB heat resistance, moisture resistance, chemical resistance, stability and other characteristics. FR4 is a code name for grade of Epoxy Glass material. Tg means Glass Transition Temperature. When the working temperature reaches to the melting point, that means the temperature exceeds the Tg value, the status of pcb material will be changed from glassy to liquid, which will affect the function of pcb. 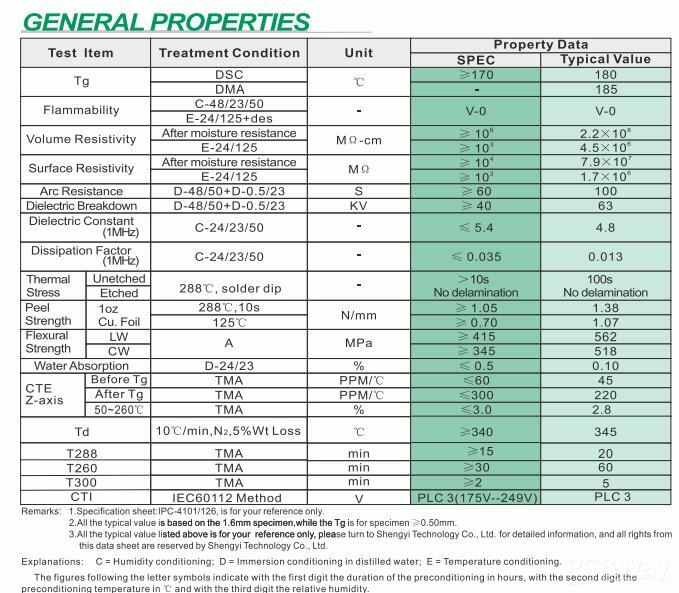 And this value is related to the stability of the pcb dimension. As usual, made with Tg ≥ 170℃ pcb material, which is called high Tg printed circuit board. With the rapid development of the electronics industry, high Tg material is widely used in computer, communication equipment, precise apparatus and instrument and etc. 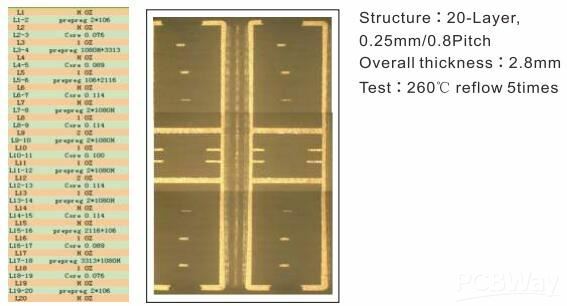 To make high Tg pcb, PCBWay has the experience and clients are satisfied with our products. If you need, please go to homepage of PCB Instant Quote menu to quote; please contact us for more information about High Tg pcbs.